The winter is now behind us and days that every pilot dreams of are finally here to stay. I can’t say that this winter was really pour in terms of flying. Me and my club got some air, did some hike and fly and all that summed up means a lot more flying compared to winter 2014. With that being said I am sure the next winter will see us spending even more time on the mountains and in the sky. 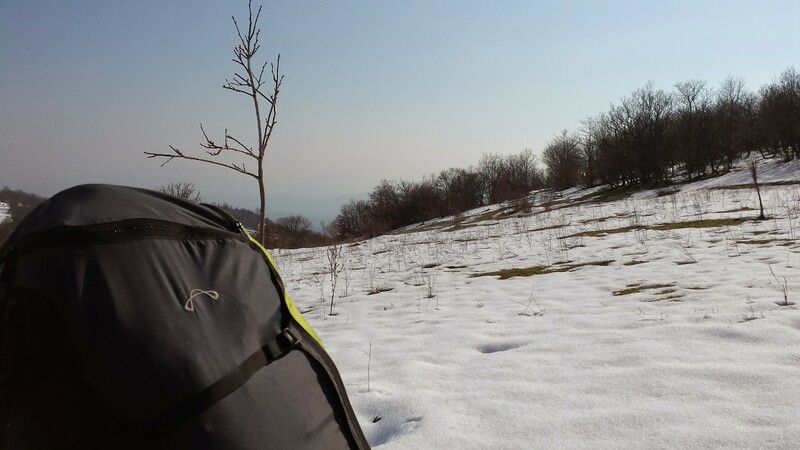 Our season here is Skopje did start with the first days of Spring as we had two really nice thermal days in a row. 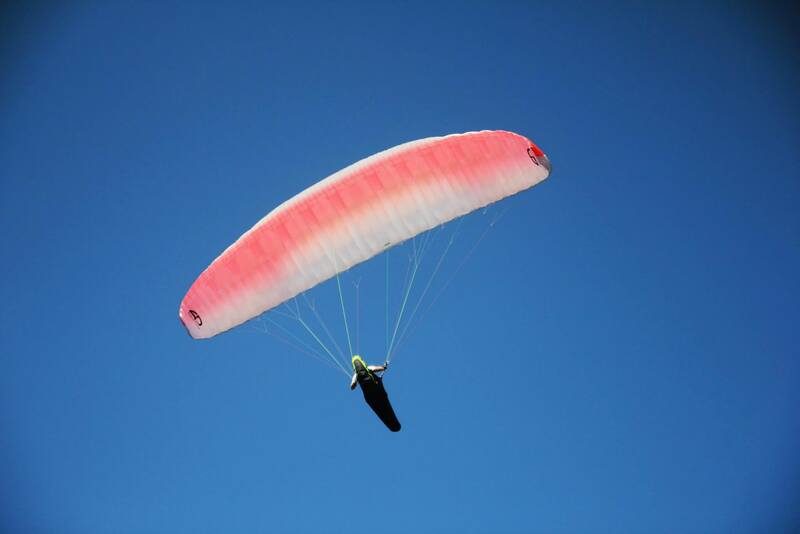 First was on our local hill on Vodno, flying on the moderate north wind. The conditions were great with a lot of thermal activity. With Me and Pero reaching cloud base and enjoying the view provided from the first thermals of the year (after a few very long months). The next day we had south wind, that means flying on Skopska Crna Gora. It is higher and bigger mountain than Vodno so we were sure there is going to be some serious flying. We even set a race. There were 6 pilots and I took of first, I picked what seemed to be the worst possible line but some how I managed to find a thermal and started to climb. In meanwhile Pero, Stamat and Smile took off. I was now above them but further in front for one or two km. They looked like they had something, but not really climbing when I saw Pero being catapulted upwards. I got so excited to see that they got a thermal on our race start so I immediately left my thermal and went to join them. I think that the idea of 4 of us climbing to base and fly the whole race was too much fun for me and stopped me from thinking clear, eventually lead me to the mistake of leaving the thermal too early and got to them to low, not able to catch the same lift. 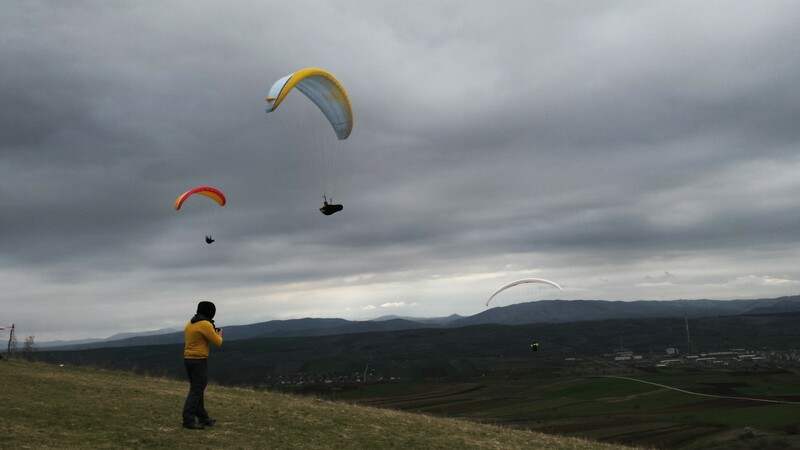 Pero and Smile got to base, little bit later Kerol joined them and they had some nice flying time in the first thermals of the year. For my self I didn’t find anything along the way to the LZ and had to lend in the middle of the hill right next to a trail road so I got some hiking out of this, which was surprisingly enjoyable. After this we got two great days on the School hill with some new hope. You can see the action in pictures on the links below. Another hill soaring day on a south-east facing 50 m high slope with the perfect wind, which saw us spending hours in the sky like it was our first time. Also pictures on the link below. Some rainy days here in Skopje now but I have really good feeling about the season of 2015 and until the next flying day I will walk the earth with my eyes turned toward the sky.